In May 2017, the Bay Area Challenge launched with a regional call to action to bring together local residents, community organizations, public officials and local, national, and international experts to develop innovative solutions that will strengthen our region's resilience to sea level rise, severe storms, flooding, and earthquakes. The final design concepts -unveiled on May 17th 2018 - are meant to inspire, catalyze action, and push us along the path to a more resilient future. Varying in scope and scale, early design ideas imagined in the Collaborative Research Phase served as a springboard for the Collaborative Design Phase. At each site selected, initial design ideas honed in on addressing ongoing climate issues facing the Bay Area, like sea level rise, severe flooding, and seismic risks, alongside other, sometimes more pressing challenges, including lack of housing, displacement, gentrification, limited access to public land and outdated transportation. 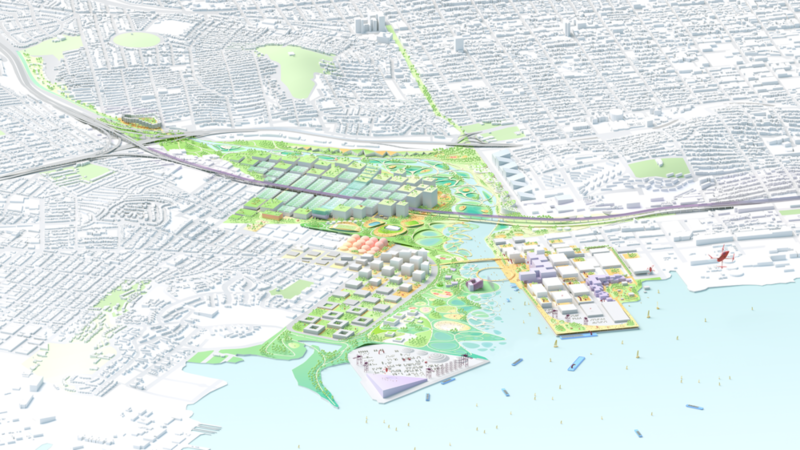 In May 2018 each Team along with their local stakeholders presented their final design concepts and a roadmap toward implementation to the Resilient by Design community and members of the interested public at The Resilient Bay Summit. The projects now have networks of community organizations, city officials, local elected officials, designers, engineers, scientists, and other experts that have been activated and inspired to work together to continue to move each project forward. The extraordinary collective effort over the course of the Bay Area Challenge serves as a call to action for the region to continue to work together to build a more resilient Bay Area.